The next meeting of the Amateur Radio Experimenters Group will be held on Friday August 18th, at the Reedbeds Community Hall, Fulham. The doors will open at 7.45pm for an 8.00pm start. To start the proceedings, the committee will recap the year’s events before moving into the reports and then the business of the meeting. All positions will be declared vacant and nominations will be sought. The outgoing committee wishes to thank in particular Scott VK5TST and Ben VK5BB who have both indicated that they wish to step down in 2017/18. We look forward to new enthusiastic members joining the committee and continuing to drive the club forward as we enter the club’s 20th year! 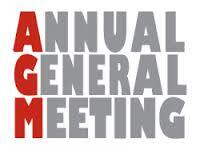 A general meeting will follow the AGM, with a general coffee and cake discussion to be held afterwards. if you have a project you have been working on why not bring it along and show it off during the coffee discussions. This entry was posted in Meetings by AREGNews. Bookmark the permalink.